Start to see clearer skin in just one week! This gentle, refreshing cleanser with aloe and mint will help you see cleaner and happier skin after the first wash. Wet Face. Squeeze into hands. Apply to face and massage gently, avoiding eye area. Rinse thoroughly. Before I talk about my review I would like to inform other customers about a few things. Some of these other reviews. The reviews that say that this product has irritated them, gave them dry skin, etc, are because they used this product wrong. 1. Exfoliating should only be used once a week! (Even though this product does say “everyday.) 2. GENTLY like it says ... to rub your face. Now for my review... I’ve been using this for about a month now and i’ve never seen such great results. My skin is smooth and soft for a week, my pimpled were starting to go away in just a week and the freshness of putting this on your face both felt/smelled good along with feeling great afterwards. We appreciate all your feedback! We'd love to learn more. When you have a chance, give us a call at 1-877-754-6411 so we can chat. We're available Monday through Friday between 9am and 5:30pm ET. We look forward to hearing from you! This product is a sad cry from your 3 in 1 exfoliating scrub... which everyone LOVED!!! I'm not sure who did the testing for this, but the texture is basically like rubbing glue all over my face. Not only that, but the blue beads inside are so fat and they don't dissolve and they just get stuck in my hairline. I will not recommend this product, but I would love to see you acknowledge the tons of customers asking for you to bring back the 3 in 1 scrub that worked wonders - the texture of that cleanser was infinitely better than this. Those really small exfoliators were way better than these beads. Nobody wants to call your 800 number. Nobody needs to talk to customer service. We just want our old favorite back, PLEASE!!! I bought the Acne Triple Clear exfoliating scrub in hopes of having a daily face routine to combat my breakouts. Instead, I woke up the morning after using it with the skin around my eyes super red and itchy, as well as my chin. After scrubbing whatever was left over off my face with a different cleanser, my eye has since swollen slightly and the redness has spread. I really don’t recommend using this if you have sensitive skin. We're sorry to hear this happened! We wouldn't expect this of our product. We'd like to learn a bit more so we can help you best. When you have a chance, please call us at 1-877-754-6411. We're available Monday-Friday from 9AM-5:30PM ET. We hope to hear from you soon! I have been using this for a while now and I absolutely love it! It smells good, and feels super refreshing like it cleans out all the bad stuff. This is my number 1 exfoliater for sure! I used this product for 3 days and on the forth day my face was red, it was very dry, I have a rash on the left side of my lip that hurts so bad. I can’t even open my mouth cause it hurts so bad! So I was struggling today to eat my burger! This is the worst face wash scrub I ever used. A waste of my money! Very disappointed! Now I’m having to use moisturize my skin like 4 times a day to get keep my skin bad right!!! We're very sorry to hear about this reaction you've had to our product and we'd like to learn more. Please give us a call at 1-877-754-6411, Monday - Friday from 9 AM to 5:30 PM ET. We hope to talk soon! We're so sorry you've had this experience! We hold our products to a very high standard and wouldn't expect this to happen. When you have a moment, please give us a call at 1-877-754-6411 so we can learn more. We're available Monday-Friday from 9AM to 5:30PM ET. We hope to hear from you soon! 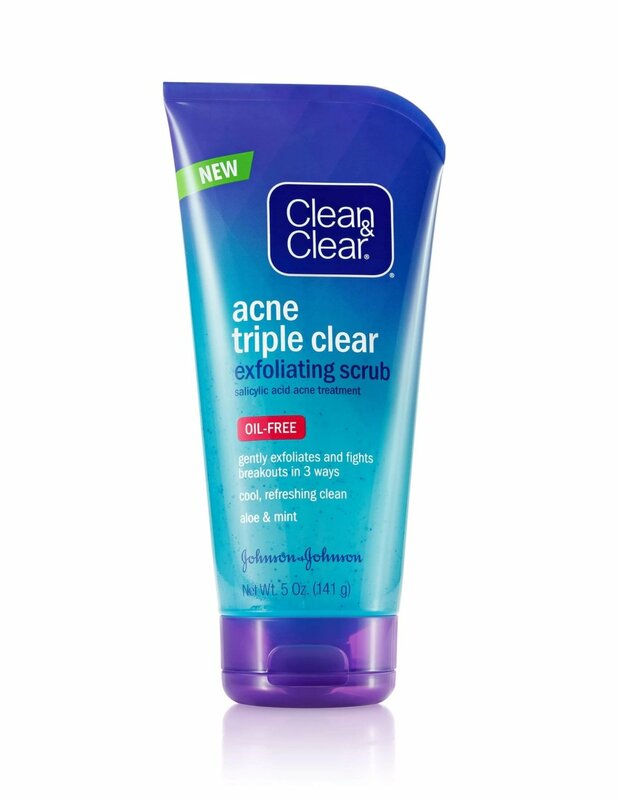 I have had problems with acne for years and I've just started using this along with other Clean & Clear products, and for the most part, my acne has cleared up. I still get some pimple now and again and this takes care of it. Oh no! We're so sorry to hear that! We'd like to learn more and see what we can do to help. When you get a sec, give us a call at 1-877-754-6411, M-F from 9am to 5:30pm ET. Can't wait to hear from you!